The winners of the 2016 Inky Awards, presented by the Centre for Youth Literature, were announced at the State Library of Victoria on 4 October. 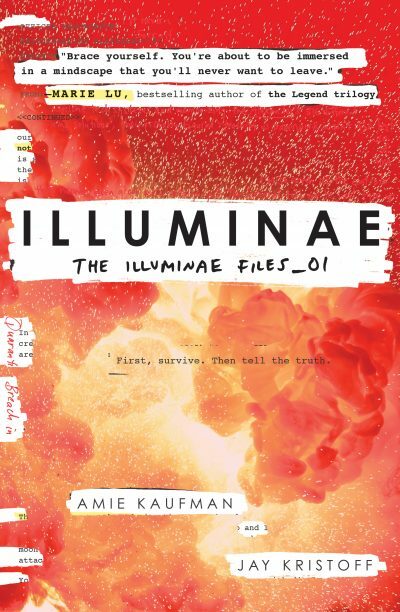 Amie Kaufman and Jay Kristoff won the Gold Inky Award, presented to an Australian book, for their YA novel Illuminae (A&U). They share a cash prize of $2000. US author Jandy Nelson won the Silver Inky Award, presented to an international book, for I’ll Give You the Sun (Walker Books). Readers aged between 12 and 20 voted online for the winners from shortlists chosen by a panel of teenage judges. To read our interview with this year’s judges, click here. The Inky Awards were founded by the State Library’s Centre for Youth Literature in 2007 to recognise local and international fiction, poetry, anthologies and graphic novels written for young adults.